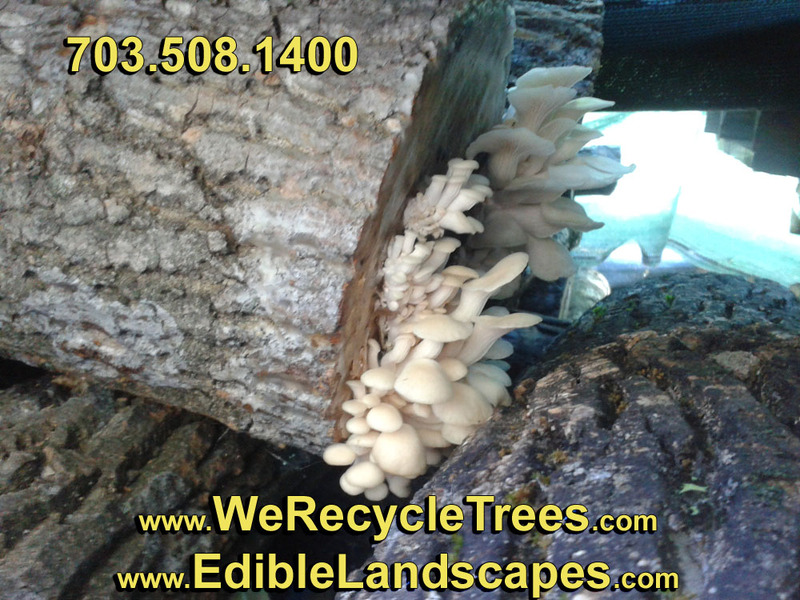 One of the coolest ways we recycle trees is by turning them into mushroom logs. Right now, we've got a variety of both shiitake and oyster mushrooms. 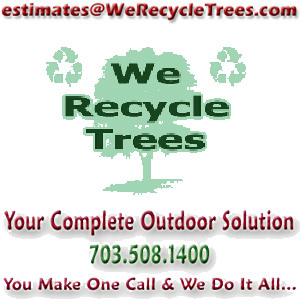 Give us a call to find where we're working and meet us on the job site. 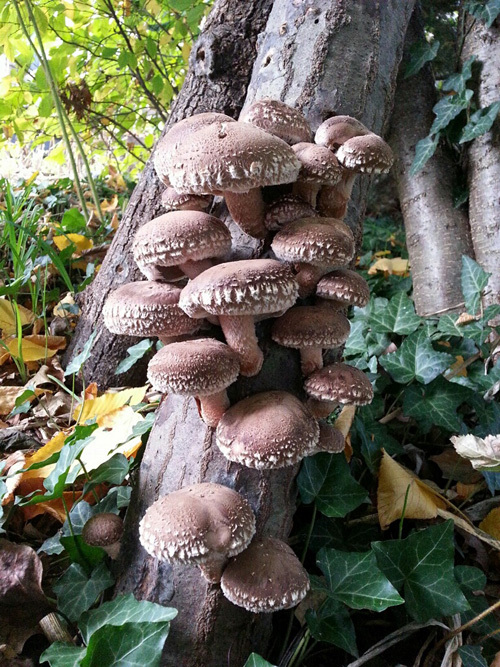 These meaty mushrooms grow well on oak and need to be aged at 9-18 months after inoculation before fruiting. These tasty mushrooms grow great on poplar and need to be aged at 6-12 months after inoculation before fruiting. You can grow your own mushrooms! With our pre-aged logs, your waiting time is greatly reduced. We've already inoculated the logs with mycelium. They are then sealed with wax for protection against competing fungi. 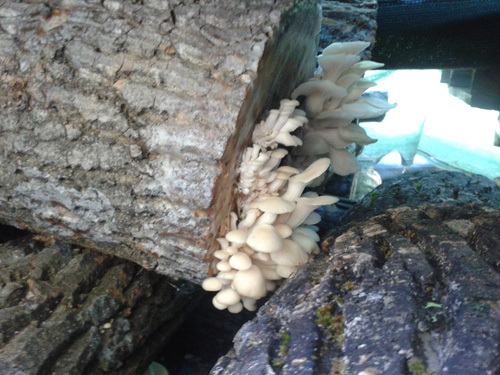 The mycelium needs to spread throughout the log, and once it is fully colonized, the log will begin fruiting. All you need to do is keep them in a shady location and to keep them from drying out. If you don't receive adequate rainfall, then supplemental watering will be required.